Lawrence is home to Kansas University, and with Sunday being warm, clear, and beautiful we decided to ride into town and see the sights. On the way there we passed large fields of purple henbit, a horse munching grass though a barbed wire fence (I looked closely: it really is greener on the other side), and blue skies all over. Before leaving Kat’s Cradle I Googled “Things to do in Lawrence”. It came up with a museum very near our campsite, Old West Lawrence, and Massachusetts Street. We stopped at the museum. It was closed; too early in the tourist season. Old West Lawrence is a twelve block section of nice old homes that looks a lot like South Highlands in Shreveport, or perhaps Quapaw Quarter in Little Rock. It’s nice, but hardly worth a 15 mile drive. Then we came to Massachusetts Street. This is where to find the trendy restaurants, hip bars, and thread shops that the upscale Jayhawk depends on. If you’ve been to College Station, think North Gate. If you have seen UNC, think Franklin Street. If your fave campus is Louisiana Tech, think Magazine Street in New Orleans. The sun said it was early afternoon, and the street was packed with kids. Students looked much older when I was in college. And for whatever reason none of the piercing joints, hookah lounges, or wingeries seemed sufficiently appealing to merit a visit. We rode around a bit before returning to camp. 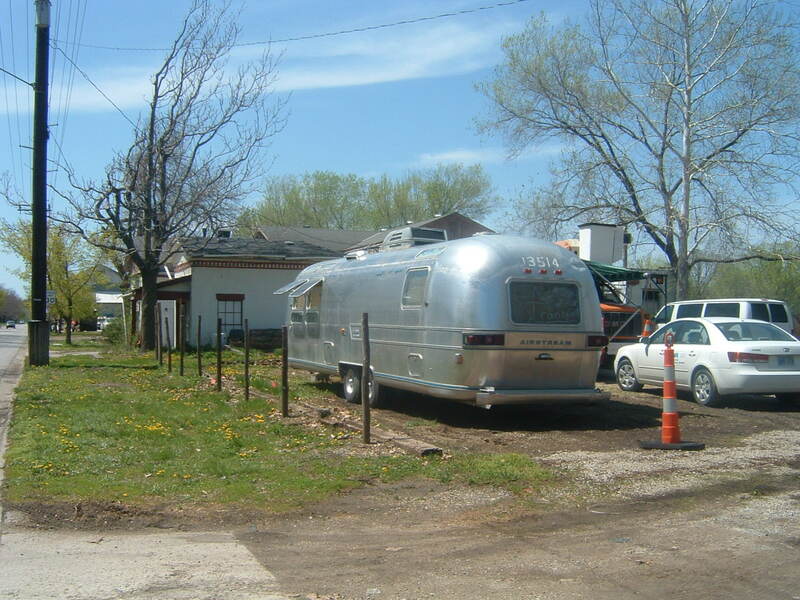 To our delight we came across an old Airstream not too far from downtown. Somebody is trying to sell it for $8,000. It needs at least $5,000 worth of work and probably twice that. That price is a bit high. 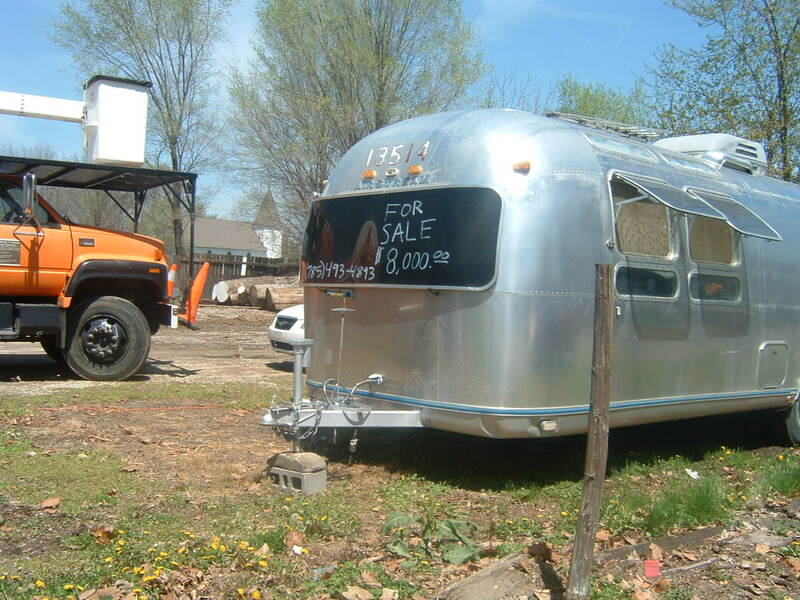 But the old A/S still looked pretty good, and you still can make out the Wally Byam Caravan Club numbers. From those numbers we may be able to figure out who owned it and when they quit camping. When you have time check out some of the sixty or so bloggers on HitchItch.com. They are where we seem headed: Life on the road is becoming our addiction. If you’re Android users, there is a Google-labs sponsored app called Field Trip. It alerts you of “things to do” automatically based on your location.